February 15, 2016 (Tony Cartalucci - NEO) - A torrent of familiar propaganda has flooded the airwaves as the imminent collapse of Washington and its regional allies' proxy terrorist forces in Syria approaches. Predicated on "humanitarian concerns," global audiences are reminded of the torrent of lies, fabrications, and deceit that preceded NATO's military intervention in Libya - a military intervention that has since left the North African nation utterly destroyed, perpetually divided, and large swaths of its territory under the control of Al Qaeda and the so-called "Islamic State" (ISIS). The images from Aleppo, Idlib and Syria's border with Turkey can be described in one word: despair. Tens of thousands of Syrians fleeing a Russian-backed government advance on Aleppo have remained stranded near the Turkish border over the weekend, with no sign that the authorities in Ankara will respond to mounting international pressure to allow in more refugees uprooted by the escalating war. Far from informing audiences, the flood of propaganda goes from absurd to surreal, aimed at provoking emotions, at persuasion, and at establishing a pretext for already long-ago, predetermined interventionism, the results of which are already on tragically stark display in Afghanistan, Iraq, and more recently Libya. Despite the obvious truth behind interventions elsewhere - that they were intentionally designed to divide and destroy, not lift up or aid the people interventionism was used upon - the West remains committed to once again foisting this ploy upon the world, convinced it is still a viable strategy. 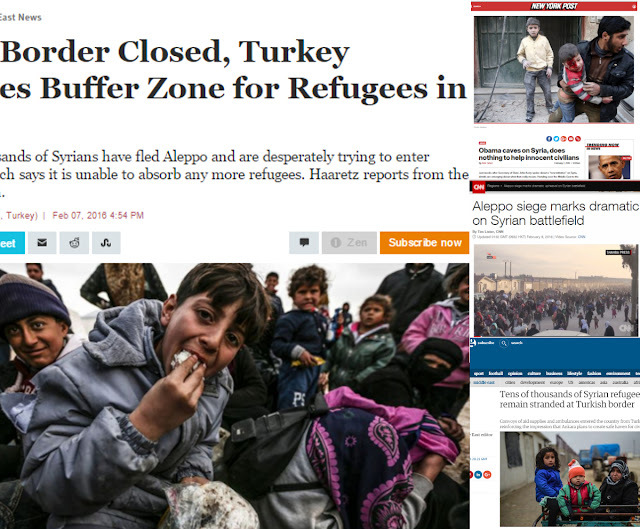 The flood of propaganda emanating from the West has one purpose - to justify a US-backed, Turkish-led offensive into Syrian territory to carve out long-sought after "safe zones" within which the West would protect the battered remnants of their terrorist proxy forces. The West is claiming "refugees" languish on the border, that Turkey cannot accept any further refugees, and that the only solution is invasion. 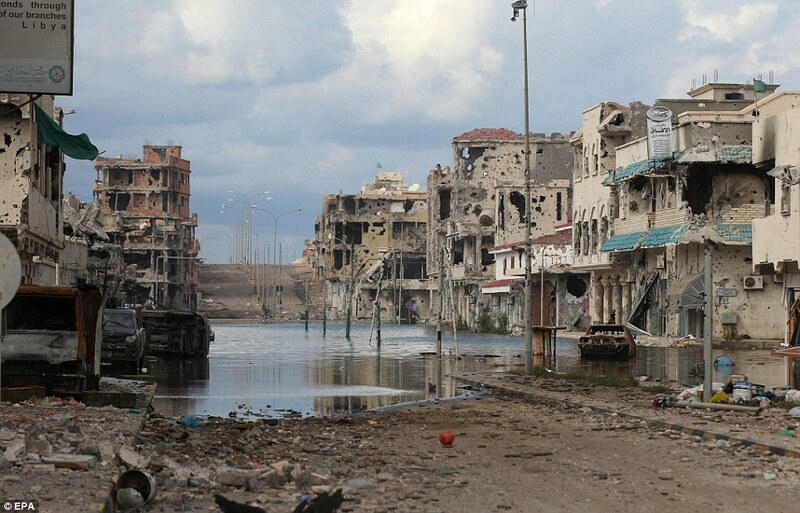 Image: Libya lays in ruins since NATO's 2011 "humanitarian intervention," predicated on the very same lies now being told to justify a similar military invasion into Syria. NATO claims intervention will stem the European migrant crisis - failing to note that the migrant crisis resulted from NATO's attack on Libya and proxy war against Syria in the first place. The lies, one part predicated upon "humanitarianism," one part upon allegedly fighting "ISIS," have in reality long ago been laid to rest and well understood by an increasingly astute global audience. This is in part thanks to NATO's own handiwork, on constant display in the North African nation of Libya, still smoldering in the wake of NATO's "humanitarian intervention" there. Despite NATO intervention, Libya remains a veritable firestorm of chaos - not only constituting a continued humanitarian disaster - feeding directly into Europe's mounting migrant crisis - but also has become a safe haven and base of operations for Al Qaeda and the Islamic State. In fact, in hindsight, it is clear that NATO intentionally armed and funded these very groups in their bid to overthrow the government of Muammar Qaddafi. The US State Department would even find itself in the long-established extremists hotbed of Benghazi, helping traffic weapons and fighters onward to Syria before the US consulate was attacked and US Ambassador J. Christopher Stevens killed - the terrorists biting the hand that fed. Syria - should NATO-member Turkey intervene - will result in a much larger conflagration than Libya, resulting in many more refugees in reality flowing into Turkey and then onward to Europe, than the numbers the West is claiming in fiction now. Syrian ground forces, bolstered by Hezbollah fighters and Iranian advisers, and backed by highly effective Russian airpower, have cut off terrorist supply lines leading from NATO-member Turkey's territory. This not only includes so-called "moderate" terrorist groups affiliated with Al Qaeda and its regional affiliate, the Al Nusra Front, but also ISIS itself. Map: It has been clear for years, just by looking at any map of the Syrian conflict, that ISIS has been streaming out of Turkey, not pressing toward it. 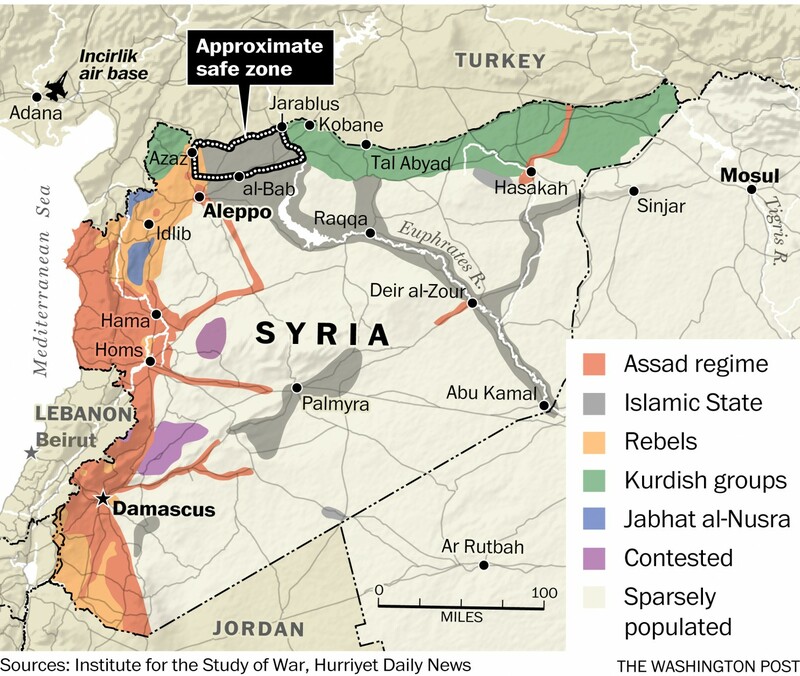 Its supply corridors lead our of Turkey and deep into Syrian and Iraqi territory like a trail of ants. To the east of Aleppo, Kurdish forces are, with American support, eyeing the remaining ISIS strongholds along the Turkish border -- Jarablus and Manbij. The U.S. wants ISIS out, to remove its access to resupply of materiel and fighters from Turkey. The question all of CNN's readers should ask, and one any real journalist were there any at the media organization would have answered, is: "why if the US is stationed in Turkey, doesn't it and its Turkish allies, NATO members since the 1950s, interdict and stop ISIS' access to 'resupply of materiel and fighters' on the Turkish side of the border?" The answer is as disturbing as it is obvious - the US and Turkey created ISIS, are arming and funding it to this very day, and are using the existence and atrocities of their own proxy forces as a pretext to further compound the misery, division, destruction, and humanitarian crisis in Syria, including the subsequent refugee crisis that has in turn affected surrounding nations and even as far as Europe and North America. 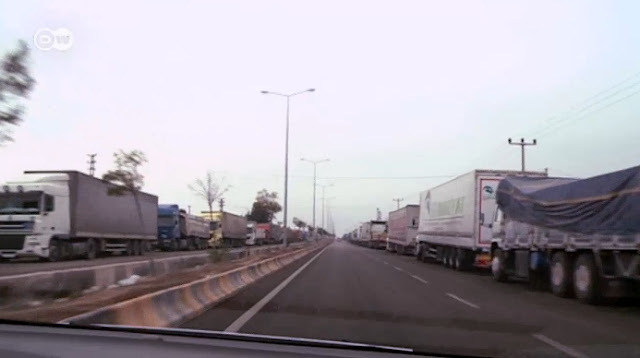 Image: Hundreds of trucks a day, for years have been resupplying ISIS in Syria - travelling out of NATO-member Turkey's territory not only with complete impunity, but with the aid of Ankara and NATO itself. Indeed, the US, Turkey, and America's allies among the un-elected, despotic Persian Gulf absolute monarchies, intentionally created ISIS and even admitted as much. It was not Russian media or Syrian state proclamations that pointed this out, but rather the United State's own Defense Intelligence Agency (DIA) in a 2012 report that revealed ongoing plans by this geopolitical axis to create what it at the time called a "Salafist" (Islamic) "principality" (State). The striking exactitude of the 2012 report and the emergence of the "Islamic State" in the following years precisely in eastern Syria as the report stated, is more than mere coincidence - it speaks to the veracity of the report, and the absolute treachery, deceit, and depravity that underpins the West's involvement both in the Syrian conflict, and in the region as a whole, as well as in its intentions toward further intervention it is now threatening to execute as its terrorist proxies flee the battlefield in Syria. While the Western media claims that "moderate rebels" are being defeated by Syrian and Russian forces, while ISIS remains a continued threat, the reality is the "moderates" and ISIS are one in the same, and both are being folded and are now fleeing before Syrian and Russian resolve. The closing off of Turkish supply lines into Syria has crippled the fighting capacity of the West's terrorist milieu, and it is only a matter of time before the entire operation collapses and order is restored nationwide. 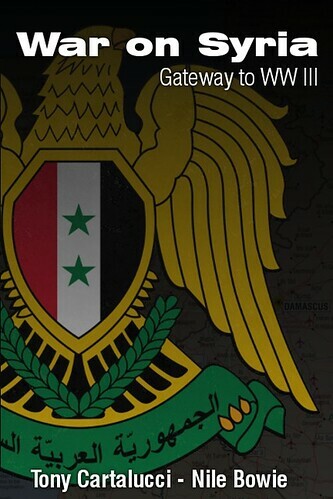 This includes "ISIS" and its base in Syria's eastern region. Reports indicate that Turkey has shifted its supply lines in and out of the country from northern Syria to eastern Syrian via northern Iraq. 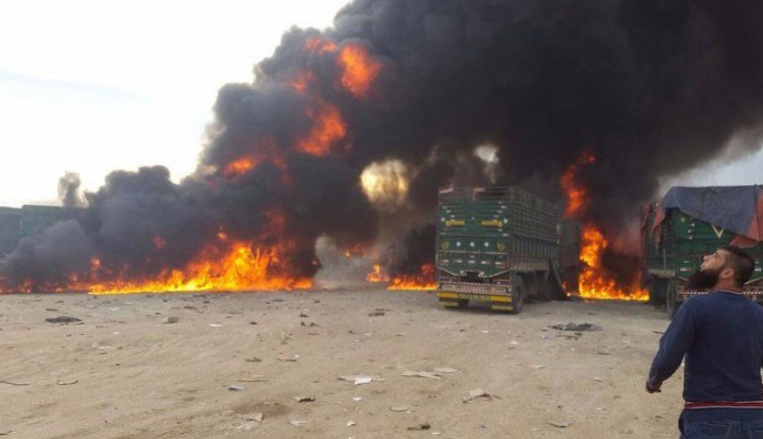 Image: Only since the introduction of Russian airpower has ISIS' supply convoys running otherwise with complete impunity in and out of NATO territory begun to suffer heavy losses. Lately, this disruption in their supply lines has costed them dearly on the battlefield, with their fronts collapsing nationwide and prompting desperate threats of invasion from NATO directly. Once northern Syria is secured by Syrian and Russian forces, it is very likely Russian airpower will be redirected eastward and close off the last of Turkey's resupply efforts. Diabolically, then, it appears that the US' efforts to "fight" ISIS is more an effort instead to keep truly effective fighting forces from compromising ISIS supply lines. This is why the Western media admits ISIS is supplied through Turkey, but cannot explain why neither Turkey nor the US forces based in Turkey have done anything to target these Turkish-based logistical operations. The US' operations in Syria aimed at ISIS are done in the sound knowledge that no matter how much "damage" they appear to do, it remains essentially superficial as anything lost can easily be replaced via supply lines from Turkey - including replacing fighters, weapons, and of course, revenue. 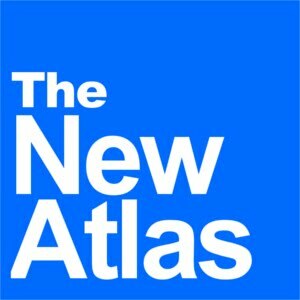 Despite the unified weepy narratives being once again carefully crafted by the practiced liars across the Western media, in an attempt to sell intervention in Syria, the glaring reality is that both the problem and the solution involves intervention in Turkey, and beyond that, the despotic regimes of the Persian Gulf who have openly underwritten for decades and served as the ideological source code for the most obscene extremism to take root in human history. To claim that Syria needs to be occupied and "saved" by the very regimes that have intentionally created and perpetuated the bloodshed not only in Syria, but elsewhere including Iraq and even as far as Libya, is in itself as much a crime against humanity in reality as the Western media claims Syrian and Russian efforts to end this affront to humanity is in fiction. For the West, perhaps the only way to treat the mortal, self-inflicted wound to its credibility and stance upon the global stage, is to withdraw from the Syrian conflict and secure the Turkish border from within Turkish territory. Continuing on as the world increasingly realizes who and what is truly driving this conflict and toward what will leave the West - no matter what it may eventually achieve in Syria - weaker still when it makes its next move. For Syria and Russia, it is probably safe to assume the West will continue onward in spite of reality and must be fully prepared to make their own justice amid a crumbling intentional system that has long since trampled any preexisting sense of it.